3652201 4FB20 TOYOTA 4FB20 Electric forklift FB series. Spare parts catalog. Service (workshop) Manual. 3652202 5FB20 TOYOTA 5FB20 Electric forklift FB series. Spare parts catalog. Service (workshop) Manual. 3652203 6FB20 TOYOTA 6FB20 Electric forklift FB series. Spare parts catalog. Service (workshop) Manual. 3652204 7FB20 TOYOTA 7FB20 Electric forklift FB series. Spare parts catalog. Service (workshop) Manual. 3652205 30-4FB20 TOYOTA 30-4FB20 Electric forklift FB series. Spare parts catalog. Service (workshop) Manual. 3652206 30-5FB20 TOYOTA 30-5FB20 Electric forklift FB series. Spare parts catalog. Service (workshop) Manual. 3652207 30-6FB20 TOYOTA 30-6FB20 Electric forklift FB series. Spare parts catalog. Service (workshop) Manual. 3652208 40-6FB20 TOYOTA 40-6FB20 Electric forklift FB series. Spare parts catalog. Service (workshop) Manual. 3652209 40-7FB20 TOYOTA 40-7FB20 Electric forklift FB series. Spare parts catalog. Service (workshop) Manual. 3652210 4FB25 TOYOTA 4FB25 Electric forklift FB series. Spare parts catalog. Service (workshop) Manual. 3652211 5FB25 TOYOTA 5FB25 Electric forklift FB series. Spare parts catalog. Service (workshop) Manual. 3652212 6FB25 TOYOTA 6FB25 Electric forklift FB series. Spare parts catalog. Service (workshop) Manual. 3652213 7FB25 TOYOTA 7FB25 Electric forklift FB series. Spare parts catalog. Service (workshop) Manual. 3652214 30-4FB25 TOYOTA 30-4FB25 Electric forklift FB series. Spare parts catalog. Service (workshop) Manual. 3652215 30-5FB25 TOYOTA 30-5FB25 Electric forklift FB series. Spare parts catalog. Service (workshop) Manual. 3652216 30-6FB25 TOYOTA 30-6FB25 Electric forklift FB series. Spare parts catalog. Service (workshop) Manual. 3652217 40-6FB25 TOYOTA 40-6FB25 Electric forklift FB series. Spare parts catalog. Service (workshop) Manual. 3652218 40-7FB25 TOYOTA 40-7FB25 Electric forklift FB series. Spare parts catalog. Service (workshop) Manual. 3652219 2FB30 TOYOTA 2FB30 Electric forklift FB series. Spare parts catalog. Service (workshop) Manual. 3652220 5FB30 TOYOTA 5FB30 Electric forklift FB series. Spare parts catalog. Service (workshop) Manual. 3652221 6FB30 TOYOTA 6FB30 Electric forklift FB series. Spare parts catalog. Service (workshop) Manual. 3652222 7FB30 TOYOTA 7FB30 Electric forklift FB series. Spare parts catalog. Service (workshop) Manual. 3652223 30-2FB30 TOYOTA 30-2FB30 Electric forklift FB series. Spare parts catalog. Service (workshop) Manual. 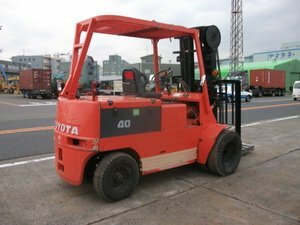 3652224 30-5FB30 TOYOTA 30-5FB30 Electric forklift FB series. Spare parts catalog. Service (workshop) Manual. 3652225 30-6FB30 TOYOTA 30-6FB30 Electric forklift FB series. Spare parts catalog. Service (workshop) Manual. 3652227 FBA20 TOYOTA FBA20 Electric forklift FBA series. Spare parts catalog. Service (workshop) Manual. 3652228 20-FBA20 TOYOTA 20-FBA20 Electric forklift FBA series. Spare parts catalog. Service (workshop) Manual. 3652229 30-FBA20 TOYOTA 30-FBA20 Electric forklift FBA series. Spare parts catalog. Service (workshop) Manual. 3652230 40-FBA20 TOYOTA 40-FBA20 Electric forklift FBA series. Spare parts catalog. Service (workshop) Manual. 3652231 50-FBA20 TOYOTA 50-FBA20 Electric forklift FBA series. Spare parts catalog. Service (workshop) Manual. 3652232 FBA25 TOYOTA FBA25 Electric forklift FBA series. Spare parts catalog. Service (workshop) Manual. 3652233 20-FBA25 TOYOTA 20-FBA25 Electric forklift FBA series. Spare parts catalog. Service (workshop) Manual. 3652234 30-FBA25 TOYOTA 30-FBA25 Electric forklift FBA series. Spare parts catalog. Service (workshop) Manual. 3652235 40-FBA25 TOYOTA 40-FBA25 Electric forklift FBA series. Spare parts catalog. Service (workshop) Manual. 3652236 50-FBA25 TOYOTA 50-FBA25 Electric forklift FBA series. Spare parts catalog. Service (workshop) Manual. 3652237 FBA30 TOYOTA FBA30 Electric forklift FBA series. Spare parts catalog. Service (workshop) Manual. 3652239 2FBB20 TOYOTA 2FBB20 Electric forklift FBB series. Spare parts catalog. Service (workshop) Manual. 3652240 3FBB20 TOYOTA 3FBB20 Electric forklift FBB series. Spare parts catalog. Service (workshop) Manual. 3652241 3FBB25 TOYOTA 3FBB25 Electric forklift FBB series. Spare parts catalog. Service (workshop) Manual. 3652243 2FBC20 TOYOTA 2FBC20 Electric forklift FBC series. Spare parts catalog. Service (workshop) Manual. 3652244 5FBC20 TOYOTA 5FBC20 Electric forklift FBC series. Spare parts catalog. Service (workshop) Manual. 3652245 30-2FBC20 TOYOTA 30-2FBC20 Electric forklift FBC series. Spare parts catalog. Service (workshop) Manual. 3652246 30-5FBC20 TOYOTA 30-5FBC20 Electric forklift FBC series. Spare parts catalog. Service (workshop) Manual. 3652247 2FBC25 TOYOTA 2FBC25 Electric forklift FBC series. Spare parts catalog. Service (workshop) Manual. 3652248 5FBC25 TOYOTA 5FBC25 Electric forklift FBC series. Spare parts catalog. Service (workshop) Manual. 3652249 30-2FBC25 TOYOTA 30-2FBC25 Electric forklift FBC series. Spare parts catalog. Service (workshop) Manual. 3652250 30-5FBC25 TOYOTA 30-5FBC25 Electric forklift FBC series. Spare parts catalog. Service (workshop) Manual. 3652251 5FBC28 TOYOTA 5FBC28 Electric forklift FBC series. Spare parts catalog. Service (workshop) Manual. 3652252 30-5FBC28 TOYOTA 30-5FBC28 Electric forklift FBC series. Spare parts catalog. Service (workshop) Manual. 3652253 FBC30 TOYOTA FBC30 Electric forklift FBC series. Spare parts catalog. Service (workshop) Manual. 3652254 5FBC30 TOYOTA 5FBC30 Electric forklift FBC series. Spare parts catalog. Service (workshop) Manual. 3652255 30-FBC30 TOYOTA 30-FBC30 Electric forklift FBC series. Spare parts catalog. Service (workshop) Manual. 3652256 30-5FBC30 TOYOTA 30-5FBC30 Electric forklift FBC series. Spare parts catalog. Service (workshop) Manual. 3652258 2FBCA20 TOYOTA 2FBCA20 Electric forklift FBCA series. Spare parts catalog. Service (workshop) Manual. 3652259 30-2FBCA20 TOYOTA 30-2FBCA20 Electric forklift FBCA series. Spare parts catalog. Service (workshop) Manual. 3652260 40-2FBCA20 TOYOTA 40-2FBCA20 Electric forklift FBCA series. Spare parts catalog. Service (workshop) Manual. 3652261 2FBCA25 TOYOTA 2FBCA25 Electric forklift FBCA series. Spare parts catalog. Service (workshop) Manual. 3652262 30-2FBCA25 TOYOTA 30-2FBCA25 Electric forklift FBCA series. Spare parts catalog. Service (workshop) Manual. 3652263 40-2FBCA25 TOYOTA 40-2FBCA25 Electric forklift FBCA series. Spare parts catalog. Service (workshop) Manual. 3652264 FBCA30 TOYOTA FBCA30 Electric forklift FBCA series. Spare parts catalog. Service (workshop) Manual. 3652265 30-FBCA30 TOYOTA 30-FBCA30 Electric forklift FBCA series. Spare parts catalog. Service (workshop) Manual. 3652267 5FBCH20 TOYOTA 5FBCH20 Electric forklift FBCH series. Spare parts catalog. Service (workshop) Manual. 3652268 30-5FBCH20 TOYOTA 30-5FBCH20 Electric forklift FBCH series. Spare parts catalog. Service (workshop) Manual. 3652269 5FBCH25 TOYOTA 5FBCH25 Electric forklift FBCH series. Spare parts catalog. Service (workshop) Manual. 3652270 30-5FBCH25 TOYOTA 30-5FBCH25 Electric forklift FBCH series. Spare parts catalog. Service (workshop) Manual. 3652272 5FBCHU20 TOYOTA 5FBCHU20 Electric forklift FBCHU series. Spare parts catalog. Service (workshop) Manual. 3652273 30-5FBCHU20 TOYOTA 30-5FBCHU20 Electric forklift FBCHU series. Spare parts catalog. Service (workshop) Manual. 3652274 5FBCHU25 TOYOTA 5FBCHU25 Electric forklift FBCHU series. Spare parts catalog. Service (workshop) Manual. 3652275 7FBCHU25 TOYOTA 7FBCHU25 Electric forklift FBCHU series. Spare parts catalog. Service (workshop) Manual. 3652276 8FBCHU25 TOYOTA 8FBCHU25 Electric forklift FBCHU series. Spare parts catalog. Service (workshop) Manual. 3652277 30-5FBCHU25 TOYOTA 30-5FBCHU25 Electric forklift FBCHU series. Spare parts catalog. Service (workshop) Manual. 3652278 30-7FBCHU25 TOYOTA 30-7FBCHU25 Electric forklift FBCHU series. Spare parts catalog. Service (workshop) Manual. 3652280 5FBCU18 TOYOTA 5FBCU18 Electric forklift FBCU series. Spare parts catalog. Service (workshop) Manual. 3652281 5FBCU20 TOYOTA 5FBCU20 Electric forklift FBCU series. Spare parts catalog. Service (workshop) Manual. 3652282 7FBCU20 TOYOTA 7FBCU20 Electric forklift FBCU series. Spare parts catalog. Service (workshop) Manual. 3652283 8FBCU20 TOYOTA 8FBCU20 Electric forklift FBCU series. Spare parts catalog. Service (workshop) Manual. 3652284 30-5FBCU20 TOYOTA 30-5FBCU20 Electric forklift FBCU series. Spare parts catalog. Service (workshop) Manual. 3652285 30-7FBCU20 TOYOTA 30-7FBCU20 Electric forklift FBCU series. Spare parts catalog. Service (workshop) Manual. 3652286 5FBCU25 TOYOTA 5FBCU25 Electric forklift FBCU series. Spare parts catalog. Service (workshop) Manual. 3652287 7FBCU25 TOYOTA 7FBCU25 Electric forklift FBCU series. Spare parts catalog. Service (workshop) Manual. 3652288 8FBCU25 TOYOTA 8FBCU25 Electric forklift FBCU series. Spare parts catalog. Service (workshop) Manual. 3652289 30-5FBCU25 TOYOTA 30-5FBCU25 Electric forklift FBCU series. Spare parts catalog. Service (workshop) Manual. 3652290 30-7FBCU25 TOYOTA 30-7FBCU25 Electric forklift FBCU series. Spare parts catalog. Service (workshop) Manual. 3652291 8FBCU28 TOYOTA 8FBCU28 Electric forklift FBCU series. Spare parts catalog. Service (workshop) Manual. 3652292 5FBCU30 TOYOTA 5FBCU30 Electric forklift FBCU series. Spare parts catalog. Service (workshop) Manual. 3652293 7FBCU30 TOYOTA 7FBCU30 Electric forklift FBCU series. Spare parts catalog. Service (workshop) Manual. 3652294 8FBCU30 TOYOTA 8FBCU30 Electric forklift FBCU series. Spare parts catalog. Service (workshop) Manual. 3652295 30-5FBCU30 TOYOTA 30-5FBCU30 Electric forklift FBCU series. Spare parts catalog. Service (workshop) Manual. 3652296 30-7FBCU30 TOYOTA 30-7FBCU30 Electric forklift FBCU series. Spare parts catalog. Service (workshop) Manual. 3652297 7FBCU32 TOYOTA 7FBCU32 Electric forklift FBCU series. Spare parts catalog. Service (workshop) Manual. 3652298 8FBCU32 TOYOTA 8FBCU32 Electric forklift FBCU series. Spare parts catalog. Service (workshop) Manual. 3652299 30-7FBCU32 TOYOTA 30-7FBCU32 Electric forklift FBCU series. Spare parts catalog. Service (workshop) Manual. 3652301 5FBE20 TOYOTA 5FBE20 Electric forklift FBE series. Spare parts catalog. Service (workshop) Manual. 3652302 7FBE20 TOYOTA 7FBE20 Electric forklift FBE series. Spare parts catalog. Service (workshop) Manual. 3652303 8FBE20U TOYOTA 8FBE20U Electric forklift FBE series. Spare parts catalog. Service (workshop) Manual. 3652304 7FBEF20 TOYOTA 7FBEF20 Electric forklift FBE series. Spare parts catalog. Service (workshop) Manual. 3652305 7FBEL20 TOYOTA 7FBEL20 Electric forklift FBE series. Spare parts catalog. Service (workshop) Manual. 3652306 8FBET20 TOYOTA 8FBET20 Electric forklift FBE series. Spare parts catalog. Service (workshop) Manual. 3652307 7FBEU20 TOYOTA 7FBEU20 Electric forklift FBE series. Spare parts catalog. Service (workshop) Manual. 3652309 7FBH20 TOYOTA 7FBH20 Electric forklift FBH series. Spare parts catalog. Service (workshop) Manual. 3652310 7FBH25 TOYOTA 7FBH25 Electric forklift FBH series. Spare parts catalog. Service (workshop) Manual. 3652312 4FBJ20 TOYOTA 4FBJ20 Electric forklift FBJ series. Spare parts catalog. Service (workshop) Manual. 3652313 30-4FBJ20 TOYOTA 30-4FBJ20 Electric forklift FBJ series. Spare parts catalog. Service (workshop) Manual. 3652314 4FBJ25 TOYOTA 4FBJ25 Electric forklift FBJ series. Spare parts catalog. Service (workshop) Manual. 3652315 30-4FBJ25 TOYOTA 30-4FBJ25 Electric forklift FBJ series. Spare parts catalog. Service (workshop) Manual. 3652317 4FBL20 TOYOTA 4FBL20 Electric forklift FBL series. Spare parts catalog. Service (workshop) Manual. 3652318 5FBL20 TOYOTA 5FBL20 Electric forklift FBL series. Spare parts catalog. Service (workshop) Manual. 3652319 6FBL20 TOYOTA 6FBL20 Electric forklift FBL series. Spare parts catalog. Service (workshop) Manual. 3652320 7FBL20 TOYOTA 7FBL20 Electric forklift FBL series. Spare parts catalog. Service (workshop) Manual. 3652321 30-5FBL20 TOYOTA 30-5FBL20 Electric forklift FBL series. Spare parts catalog. Service (workshop) Manual. 3652322 30-6FBL20 TOYOTA 30-6FBL20 Electric forklift FBL series. Spare parts catalog. Service (workshop) Manual. 3652323 4FBL25 TOYOTA 4FBL25 Electric forklift FBL series. Spare parts catalog. Service (workshop) Manual. 3652324 5FBL25 TOYOTA 5FBL25 Electric forklift FBL series. Spare parts catalog. Service (workshop) Manual. 3652325 6FBL25 TOYOTA 6FBL25 Electric forklift FBL series. Spare parts catalog. Service (workshop) Manual. 3652326 7FBL25 TOYOTA 7FBL25 Electric forklift FBL series. Spare parts catalog. Service (workshop) Manual. 3652327 30-5FBL25 TOYOTA 30-5FBL25 Electric forklift FBL series. Spare parts catalog. Service (workshop) Manual. 3652328 30-6FBL25 TOYOTA 30-6FBL25 Electric forklift FBL series. Spare parts catalog. Service (workshop) Manual. 3652330 FBM20 TOYOTA FBM20 Electric forklift FBM series. Spare parts catalog. Service (workshop) Manual. 3652331 30-FBM20 TOYOTA 30-FBM20 Electric forklift FBM series. Spare parts catalog. Service (workshop) Manual. 3652332 FBM25 TOYOTA FBM25 Electric forklift FBM series. Spare parts catalog. Service (workshop) Manual. 3652333 30-FBM25 TOYOTA 30-FBM25 Electric forklift FBM series. Spare parts catalog. Service (workshop) Manual. 3652334 FBM30 TOYOTA FBM30 Electric forklift FBM series. Spare parts catalog. Service (workshop) Manual. 3652336 FBMF20 TOYOTA FBMF20 Electric forklift FBMF series. Spare parts catalog. Service (workshop) Manual. 3652337 7FBMF20 TOYOTA 7FBMF20 Electric forklift FBMF series. Spare parts catalog. Service (workshop) Manual. 3652338 FBMF25 TOYOTA FBMF25 Electric forklift FBMF series. Spare parts catalog. Service (workshop) Manual. 3652339 7FBMF25 TOYOTA 7FBMF25 Electric forklift FBMF series. Spare parts catalog. Service (workshop) Manual. 3652340 FBMF30 TOYOTA FBMF30 Electric forklift FBMF series. Spare parts catalog. Service (workshop) Manual. 3652341 7FBMF30 TOYOTA 7FBMF30 Electric forklift FBMF series. Spare parts catalog. Service (workshop) Manual. 3652343 8FBMKT20 TOYOTA 8FBMKT20 Electric forklift FB series. Spare parts catalog. Service (workshop) Manual. 3652344 8FBMKT25 TOYOTA 8FBMKT25 Electric forklift FB series. Spare parts catalog. Service (workshop) Manual. 3652345 8FBMKT30 TOYOTA 8FBMKT30 Electric forklift FB series. Spare parts catalog. Service (workshop) Manual. 3652347 8FBMT20 TOYOTA 8FBMT20 Electric forklift FBMT series. Spare parts catalog. Service (workshop) Manual. 3652348 8FBMT25 TOYOTA 8FBMT25 Electric forklift FBMT series. Spare parts catalog. Service (workshop) Manual. 3652349 8FBMT30 TOYOTA 8FBMT30 Electric forklift FBMT series. Spare parts catalog. Service (workshop) Manual. 3652351 8FBN20 TOYOTA 8FBN20 Electric forklift FBN series. Spare parts catalog. Service (workshop) Manual. 3652352 50-8FBN20 TOYOTA 50-8FBN20 Electric forklift FBN series. Spare parts catalog. Service (workshop) Manual. 3652353 8FBN25 TOYOTA 8FBN25 Electric forklift FBN series. Spare parts catalog. Service (workshop) Manual. 3652354 8FBN30 TOYOTA 8FBN30 Electric forklift FBN series. Spare parts catalog. Service (workshop) Manual. 3652356 FBS30 TOYOTA FBS30 Electric forklift FBS series. Spare parts catalog. Service (workshop) Manual. 3652357 7FBSU20 TOYOTA 7FBSU20 Electric forklift FBSU series. Spare parts catalog. Service (workshop) Manual. 3652358 7FBSU25 TOYOTA 7FBSU25 Electric forklift FBSU series. Spare parts catalog. Service (workshop) Manual. 3652360 6BNCU20 TOYOTA 6BNCU20 Electric forklift BNCU series. Spare parts catalog. Service (workshop) Manual. 3652361 6BNCU23 TOYOTA 6BNCU23 Electric forklift BNCU series. Spare parts catalog. Service (workshop) Manual. 3652362 6BNCU25 TOYOTA 6BNCU25 Electric forklift BNCU series. Spare parts catalog. Service (workshop) Manual. 3652363 6BNCU28 TOYOTA 6BNCU28 Electric forklift BNCU series. Spare parts catalog. Service (workshop) Manual. 3652364 6BNCU30 TOYOTA 6BNCU30 Electric forklift BNCU series. Spare parts catalog. Service (workshop) Manual.